Well, the short answer is that my diet isn’t all about weight loss. The fact is that I am equally saddened by both of the above photo collages and believe that a double standard exists between the two. The first collage depicts animals that are seeking freedom, rescue and/or adoption. Looking into the eyes of these animals, one can only hope that they will soon find a warm and loving home. The second collage depicts animals that also, very likely, are seeking freedom, rescue and/or adoption. 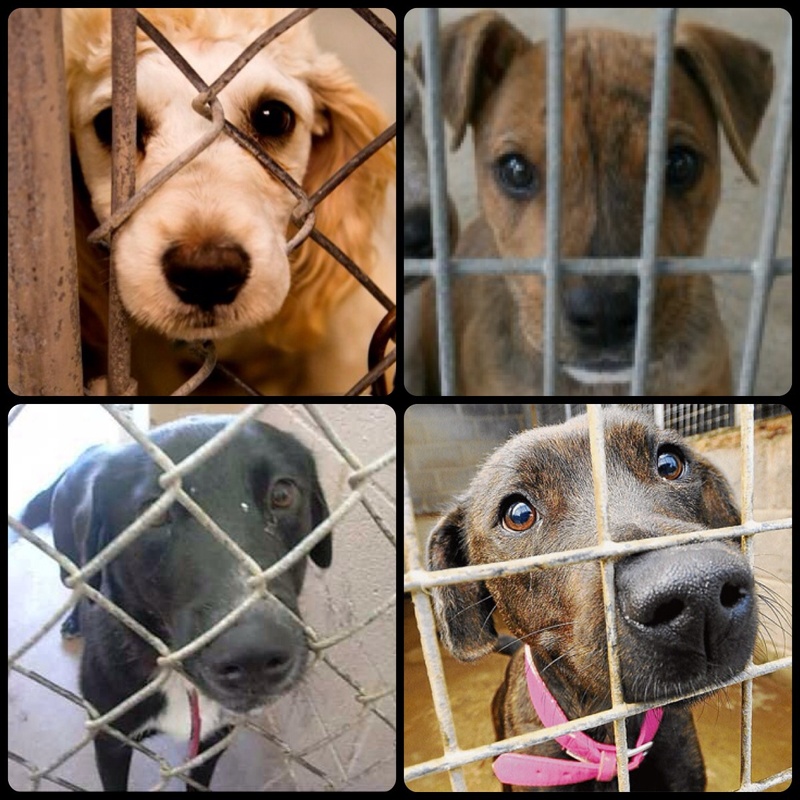 Looking into the eyes of these animals, however, one can only accept the grim reality that they will never ever find a warm and loving home. 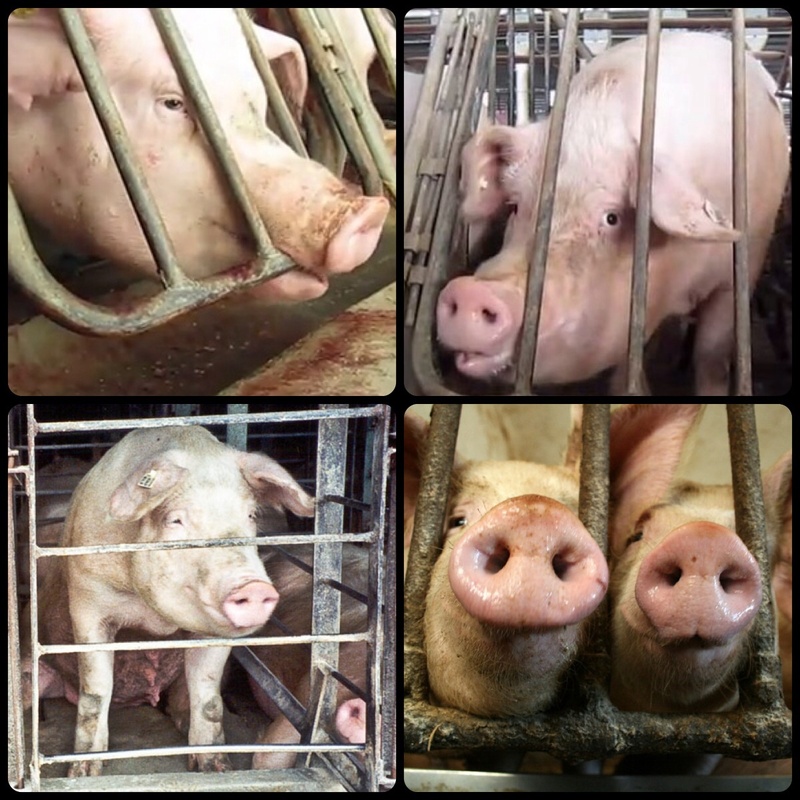 The only life they know is one of confinement, filth, boredom and trauma. The fact that they will eventually be slaughtered and eaten is a relief, in my opinion. It stands to reason that most people would feel less empathetic for the misery, suffering and psychological harm of animals that are used for food, than we would for those we deem household pets. Perhaps we are conditioned to believe that the animals being used for food are stupid and do not know any better, which justifies their abject existence. However, a series of articles have recently been published comparing the intelligence and characteristics of pigs to dogs. As you might have guessed, several studies have established that pigs have equal or greater intelligence than dogs and have many identical personality traits. In other words, the animal being pet on an owner’s lap is not unlike the animal on his/her food plate. Therefore, if pigs have the same types of thoughts, feelings, emotions and behavior as dogs, why is it acceptable to eat them? I can’t answer this question and, for this very reason, is why I don’t eat pork. Call me sensitive, but it’s just my logic.